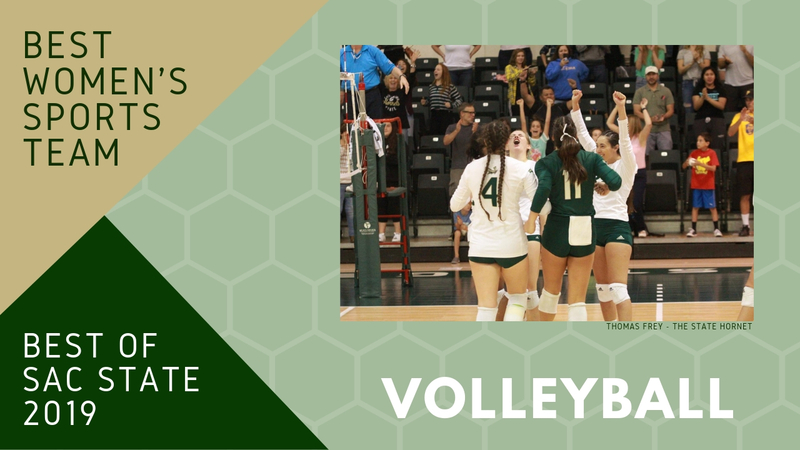 Sacramento State women’s volleyball team was voted “Best Women’s Sports Team” of 2019 in The State Hornet’s third annual Best of Sac State poll. The team finished 16-16 overall with a 10-5 record at home and went 11-6 in Big Sky Conference play. The Hornets made it to the Big Sky Conference Tournament quarterfinals this year and fell to Idaho State 3-1 on Nov. 22 at Bank of Colorado Stadium in Greeley, Colorado. One of Sac State’s more prolific players this year was senior Mikaela Nocetti. Nocetti led the team with 242 kills during conference play. Her position is called a six rotation outside hitter, which means she plays in every rotation. The team did have some rough patches. Sac State went 4-8 on the road, including losses to Big Sky conference opponents Northern Arizona, Weber State, and Idaho State. When asked about travel woes, Volta said in order to be successful on the road, a team has to play steady and avoid the fluctuation of highs and lows in play. Volta spoke of the similarities between the regular season and the Big Sky Tournament matchups against Idaho State. Sac State won the first set and had a lead midway through the second in each contest, though in both incidents Idaho State was the victor. This year, the team loses key seniors like Nocetti, Lana Brown, Skyler Takeda and Brie Gathright but will have new team leaders incoming, such as senior Sarah Davis and incoming sophomore Ashtin Olin. 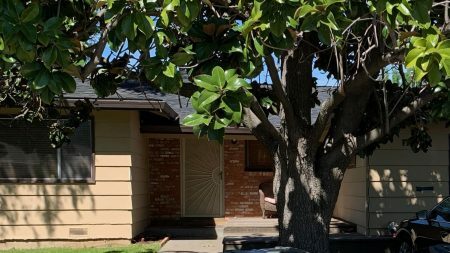 Volta said he acknowledges the difficulty in trying to replace any senior who has moved on, but has hope in the tradition of success at Sac State. “I think we all play pretty confidently at home. Can’t see why that will change,” Volta said.